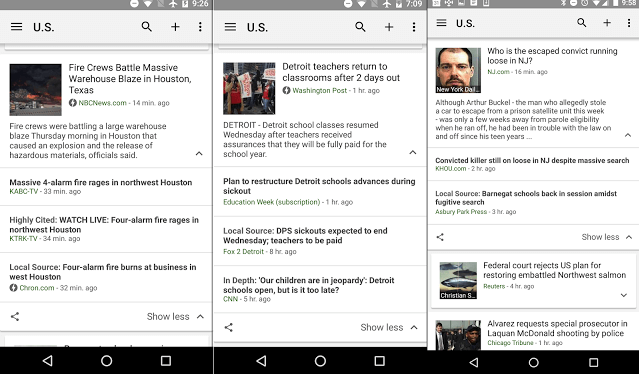 When Google News launched in 2006, Google finally had at its fingertips the most interactive, real-time aggregator of world news. Before Google News’ inception, Google was almost exclusively used to find web pages, but now with Google News, people use Google as their go-to source of breaking news stories. It had begun encroaching on the territory of television news programs and print. However, for local news stories, television news and local newspapers still had an edge in terms of quality. Unfortunately, these local, smaller publications got buried in Google News’ search rankings in favor of larger, national publications. Yet as of early May 9th, Google launched a “local source tag” to “surface local coverage of major stories”. This new feature will provide local publishers with more exposure on major news stories. For instance, if a wildfire breaks out in Sacramento, CA, Northern California publications will be given a boost in its Google News search rankings. This “local source tag” will be automated in the sense that Google will pick up on the regions in which certain news outlets cover, and will attach that source tag to it. In addition to receiving an increased prominence on News rankings, local news stories will also have an “expanded story box” that will provide each local story with a short synopsis, akin to the meta description you see in organic search rankings. On Google’s blog, they assert this update is not just there to improve the quality of Google News, but to reward local reporters for they effort they exerted in uncovering their story. In the above photo, notice how the local news publications are at the top of each News results, for presumably different search queries. Also, for the Washington Post and NBC News stories, the lightning logo displayed next to the news outlet’s name is an Accelerated Mobile Page. These fast-loading pages may also be given preferential treatment by Google in the near future as well. If your business produces local, news-worthy content, you may want to learn how to use Google News as a platform to gain increased exposure. This may help your business gain national exposure and significantly improve its online reputation.